How does one prepare for a ferritin blood test? What are the potential side effects of a ferritin blood test? What does an elevated ferritin level mean? What does a low ferritin level mean? Low levels of ferritin are indicative of iron deficiency, which causes anemia (a reduction in the number of oxygen-carrying red blood cells). Ferritin is the major iron storage protein of the body. Ferritin levels can be used to indirectly measure how much iron is in the body. Ferritin has the shape of a hollow sphere that permits the entry of a variable amount of iron for storage (as ferric hydroxide phosphate complexes). The ferritin test uses venous blood to measure ferritin levels. The test is sometimes ordered together with other tests to help evaluate the body's iron stores, such as an iron level or a total iron binding capacity (TIBC) test. The ferritin test uses venous blood that is withdrawn as for any routine blood test. No special preparation for the test is necessary. Fasting is not necessary. A needle attached to a vacuum collection device is inserted into a vein, often a vein in the antecubital fossa (crease of the elbow), after the area has been cleaned. Venous blood can also be taken from other sites. The ferritin blood test is a routine blood test and typically does not cause side effects. Mild bruising at the venipuncture site can occur infrequently. The results may vary slightly among laboratories, but in general, normal ferritin levels range from 12 to 300 nanograms per milliliter of blood (ng/mL) for males and 12 to 150 ng/mL for females. 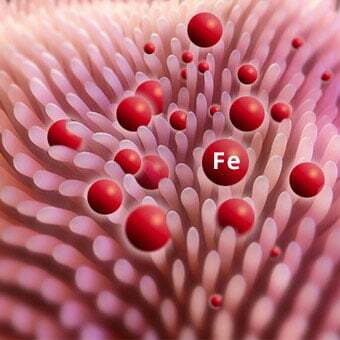 Higher-than-normal levels of ferritin can be indicative of an iron storage disorder such as hemochromatosis. Hereditary hemochromatosis is an inherited (genetic) disorder in which there is excessive accumulation of iron in the body (iron overload). In individuals with hereditary hemochromatosis, the daily absorption of iron from the intestines is greater than the amount needed to replace losses. Since the normal body cannot increase iron excretion, the absorbed iron accumulates in the body. A man with hemochromatosis can accumulate 20 grams of total body iron by age 40 to 50 (the normal iron content for the body is 3 to 4 grams). The excess iron deposits in the joints, liver, testicles, and heart, which causes damage to these organs, and causes signs and symptoms of hemochromatosis. Women with hemochromatosis accumulate iron at a slower rate than men because they lose more iron than men due to iron loss from menstruation. Therefore, they typically develop signs and symptoms of organ damage due to excess iron 10 years later than men. 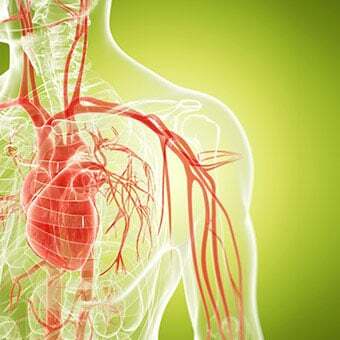 The symptoms arise because iron accumulates in the organs and leads to destruction and loss of normal function. Other causes of a high ferritin level are chronic inflammatory medical conditions such as liver disease or rheumatoid arthritis, or some types of cancer. Aken'Ova, Y.A., I. Adeyefa, and M. Okunade. "Ferritin and serum iron levels in adult patients with sickle cell anaemia at Ibadan, Nigeria." Afr J Med Med Sci 26.1-2 Mar-Jun 1997: 39-41. Dominiczak, M.H., and J.I. Broom. "Vitamins and minerals." In: Baynes JW, Dominiczak MH, eds. Medical Biochemistry, 4th Ed. Elsevier Saunders, 2014: chap 11. Ginder, G.D. "Microcytic and hypochromic anemias." In: Goldman L, Schafer AI, eds. Goldman-Cecil Medicine, 25th Ed. Philadelphia, PA: Elsevier Saunders, 2016: chap 159. Did you have a ferritin blood test? What were the results, and what condition did the test help diagnose. Please share your experience with ferritin blood tests.